Oh hi there, are you tired of our White Bean Dip yet? Not me, man. I’m in it to win it. 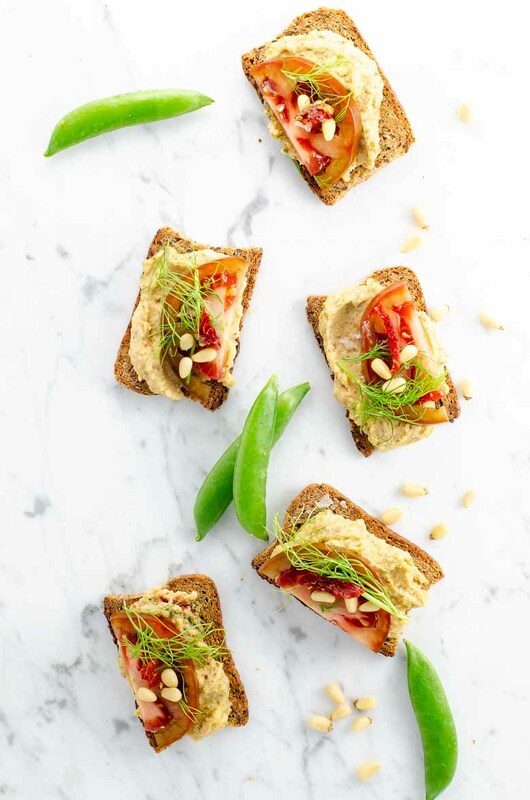 Which is good, because here’s one more easy way to put it to good use: white bean crostini with tomato. 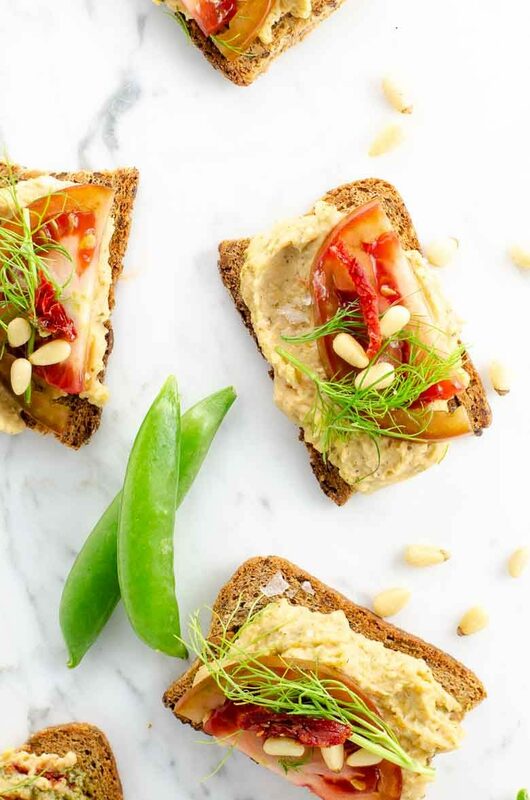 We love this appetizer with our white bean dip, but you can make it with your favorite hummus, too. I love having a few super-easy appetizer recipes like this in rotation. These guys are made from pantry ingredients, so if friends suddenly stay until wine o’clock or drop by unexpectedly on the way home from the beach, you’ll have something a little special to feed them without a lot of work. 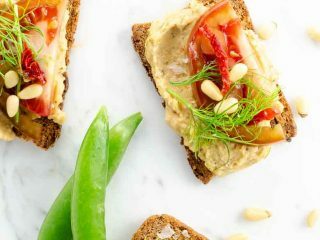 I’m loving our bean dip these days for its punchy flavors, but just to have said it, this app would work well with your favorite brand of hummus, too, without any further changes. Spring and summer entertaining should be breezy, don’t you think? Spread a tablespoon or two of bean dip onto each toast. Slice tomatoes 1/4-inch thick and cut each slice in half. Line up the flat side of the tomato with one of the edges of the toast (if you're into that sort of thing). Garnish each piece with a bit of sun-dried tomato, herbs and pine nuts and sprinkle with flaky salt. Serve immediately. 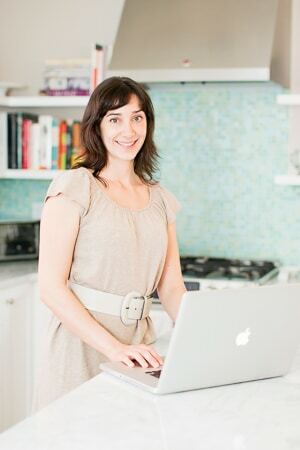 I used Eli's Health Crisps, which are delicious and easy to keep in the pantry for last-minute entertaining. For reference, each one is about 3 inches x 2 inches. You can use sliced, toasted baguette or any crispbread that you like. For this purpose, I really prefer soft sun-dried tomatoes in a resealable bag, such as Trader Joe's Julienne Cut California Sun Dried Tomatoes. They're easy to work with and nice and tender.